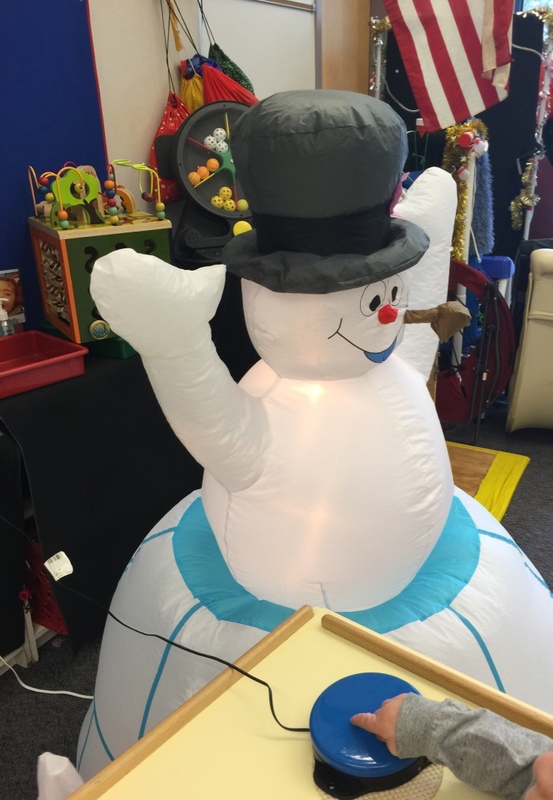 The classroom teacher picked up this blowup snowman after the holidays last year. This child, Jim, needs movement and light to draw visual attention to his weaker right visual field. 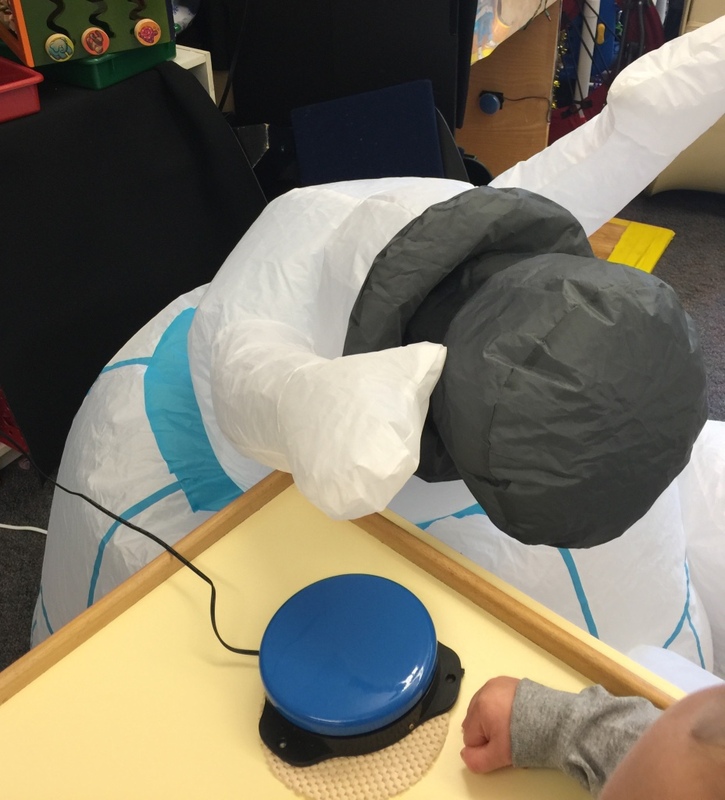 In this inventive activity, the snowman is connected to a switch using a Powerlink environmental control device interface. When Jim hits the switch, the snowman slowly inflates and lights up (movement and light). After 30 seconds, it shuts off and slowly deflates (movement). Jim needs to visually locate the switch to watch it re-inflate. He increasingly accesses the weaker right visual field in this fun activity! The Powerlink can be controlled and the individually set for every child in the classroom matched to the assessed latency, visual field, switch color, distance, and complexity need using the CVI Range (Roman-Lantzy. Fantastic visual and visual motor activity! I love activities like this for home as well. Children can engage and play in a meaningful way while parents cook dinner, do laundry and all the other household tasks. I can’t think of a child who wouldn’t love this!